ALERT, ALERT, ALERT: Psych: The Movie is less than one week away from its premiere — and based on what stars James Roday and Dulé Hill have to say about it, we’re already in love. Roday, who also co-wrote the movie, and Hill recently opened up about finding the perfect time to make Psych: The Movie and how it’s a love letter to fans. Roday added that over the course of the eight seasons on USA, fans were incredibly supportive of the series, allowing the cast and crew to take some creative liberties — including many iconic tribute episodes to cult classics. 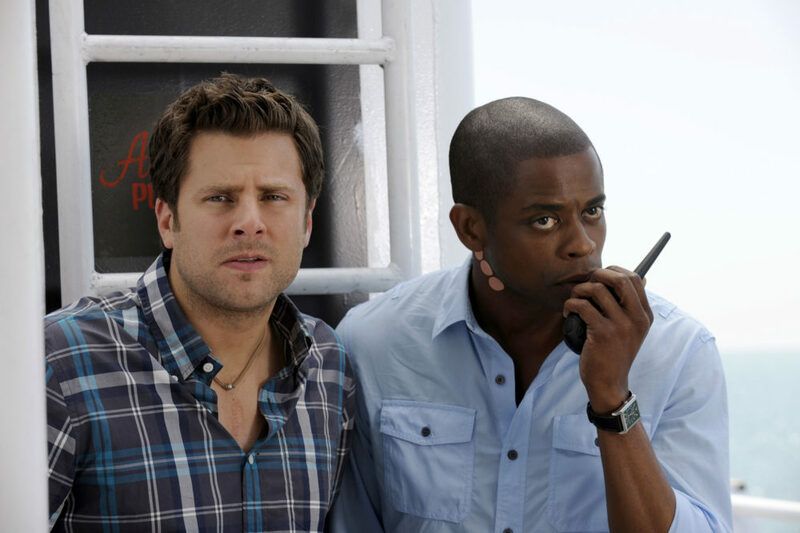 For Psych: The Movie, the cast and crew wanted to bring things back to basics, with the film taking Shawn and Gus on an old-school Psych adventure. Psych: The Movie picks up three years after the series ended, with Shawn and Gus running a new Psych venture in San Francisco. When Juliet’s new SFPD detective is murdered by the mysterious Thin White Duke (Zachary Levi), the gang — including Chief Vick, Henry, and Woody — must catch the murderer before one of their becomes the next victim. Maggie Lawson, Corbin Bersen, Kirsten Nelson, and Kurt Fuller also star in the upcoming movie, while Timothy Omundson will appear in a cameo. We can’t wait to see our favorite fake psychic and co. reunite for Psych: The Movie, which airs on December 7th on USA!